Prepare for the Holidays with this Season's greatest styles at Mexx clothing. Shop Boxing Week Canada 2013 at Mexx and receive 50% Off of absolutely everything! This offer pertains to regular and sale merchandise for adults and children. Fragrances and gift cards are unfortunately not included in this Boxing Day Canada 2013 promotion at Mexx. This offer is valid online at Mexx.ca and in participating Mexx stores across Canada. Shop Boxing Day Canada 2013 at Mexx.ca or find your closest retailer! MEXX Canada Boxing Day Sale is LIVE NOW! Get 50% off EVERYTHING!!! This might be a glitch and won't necessarily last till Boxing Day although it clearly is the boxing day sale. So order now while traffic is low and stocks are full. 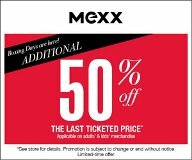 Beginning December 26th at 8am Mexx stores will be awarding 50% off the last ticked price for all adult and kids merchandise. There are huge savings to be made but will only be available for a limited time. As of January 4th at 9:30pm prices will return to usual – no rain checks! So come reinvent your style at Mexx this holiday for half the price. 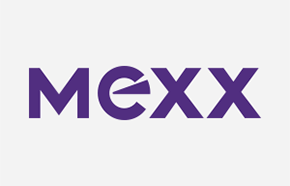 Believe it or not, following their unbelievably successful campaign of buy one get one practically free, Mexx has announced another Pre-Boxing Day event that will span from December 19th to December 24th. What you can expect from this sale is everything at 50% off. Hurry in and take advantage of this sale before the shelves are stripped clean – stock is already exhausted from their previous holiday sale so don’t doddle, get in your nearest Mexx today and save.